Thank you for choosing Dahab Hostel for your recent stay in Cairo. We’d be grateful if you would review us on TripAdvisor. Have you booked your room through HostelWorld? 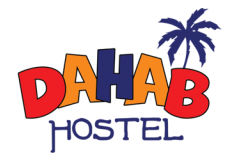 Log in to your HostelWorld account to write a review about Dahab hostel. Thanks again, and we hope you'll choose Dahab Hostel the next time you're in Cairo.